I decided to withdraw from Bighorn because I could not stop vomiting and I couldn't keep anything solid or liquid down for more than a few minutes. In the wake of the DNF, I would be lying if I said I'm not hurting badly deep down (I am). I vomited in two aid stations going up to the turnaround point--a 4,500-vertical-foot climb--and it got so bad in one that they kind of hid me from the others so as not to kill morale. Yes, that really is true, but I want to emphasize that the volunteers were compassionate and helpful. Let me also state now that I want no pity and this post isn't here to get people to comment and tell me all will be OK. No pity needed, please. Over the past few days, I've done some reading on why we vomit in endurance races. I think my issue has a few different layers. First, I probably have a sensitive stomach. I have very valid reasons for believing that and there's no need to go into details as to why. Second, I think I have a tendency to let myself get under-hydrated in races, which can have a domino effect (including GI distress and mental and physical fatigue). I also think I went out too fast at Bighorn. It was very hot when the gun went off at 11am. I made lots of mistakes on Friday but it does no good going into all of them. I think I know much of what I did wrong, like under-hydrating and going out a bit too fast. But what perplexes me is that I used to not puke in 100s and now I'm puking in all of them, with onset of symptoms happening earlier and earlier in each race. Recently, I heard a prominent ultrarunner who I greatly respect say that puking in an ultra is akin to hitting the reset button and that we should embrace it. That may be true for some people, but what happens when you can't stop puking? What happens when you completely bonk because you can't keep anything down? That's where I was on Friday. And, frankly, it's why Bighorn in 2016 (next year) may be my last ultra. I'm planning to go back to Bighorn next year and, come hell or high water, I will finish it--even if it means a 33:59:59 result and hundreds of vomit stops. I cannot let a race beat me without me hitting back. But I also can't keep putting myself and my family through this. I like running long distances and I expect to suffer along the way, but I don't like losing huge chunks of time to vomiting and genuinely worrying about my own health and safety. 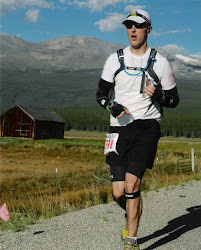 Last year at Leadville, I lost easily two hours to vomiting and related issues. After withdrawing at the turnaround at Bighorn, I went back to our cabin and slept. The next morning, I felt resolved that this was probably my last 100. But then we went to the finish to cheer on my two pals, Mike Wilkinson and Mark Thompson, who ran the first half of the race together. Quick background: When I withdrew at the turnaround, I asked my pacer, Scott, to pace Mark into the finish, which he did (Mike already had a pacer lined up). So we got to the park in Dayton on Saturday afternoon and watched both Mike and Mark come into the finish within 15 minutes of each other and both under 28 hours--very solid times for Bighorn. I was so proud of these guys, and watching them cross gave me a little unexpected fire to come back to Bighorn next year and "get revenge." Plus, it just hurts knowing my son cried at the turnaround when he heard I was dropping. I have to come back and show him that you can't give up without a fight--even though I did DNF this year, I feel I must confront Bighorn next year and close the deal the right way. And then that may be it for me. Where is all the fun in this? I love being in the wilderness and running. Bighorn is probably the prettiest course I've ever seen. There is a section ("the Wall") where you're surrounded by towering canyon walls--breath-taking. But it's hard to have fun when you're puking going up a 4,500-foot climb. I also think I'm now psychologically damaged from all these vomit episodes in 100s. I honestly think early in the race I was just waiting for the nausea and puking to start--and then it did. A self-fulfilling prophecy? Quite possibly, yes. I guess that means my confidence as a runner is gone. I used to take it for granted that I'd finish a 100. In the very early days, I wanted to win or podium. I no longer take it for granted that I'll finish. We celebrate elites in this sport. And they are amazing. But let me say this: I have more respect for the folks who run their own races and those amazing souls who grind out the 30-hour 100s. Because finishing 100s is super hard. It's easy to forget that. Having said all of that, what I'm about to write may seem contradictory. Here goes.... On the one hand, I'm not sure I'll do anymore races for the rest of the year. Right now, as I type this, I have no desire to race. That would mean no Pikes Peak Marathon and no Western States qualifier, which means my WS dream will likely come to an end because I'd then go back to zero tickets. And, honestly, that's OK because all it does is create pressure. And I need no pressure right now. On the other hand, what I need is a good, drama-free finish in a 100. So, while I am considering taking the year off, I am also considering lining up at Javelina in late October and going for that WS qualifier and having a good experience on a course that, while far from easy, doesn't involve mountains. I'm not sure yet what I'll do. At this point, the thought of running an ultra is enough to make me start vomiting again. I need some down time. I need time to think, reflect, lift some weights (I love lifting), joy run, camp and bike with my family, get some home improvement projects done, and generally have no races to think about. I see this is a rebuilding phase, or perhaps the end of the line in terms of ultras. In 2012, I was burned out but came back quite inspired in 2013 and 2014. So it's possible this will pass and desire will return. Only time will tell. Again, please, no pity. I'm not looking for it. We need to save our pity for people in this world who really need it. But please do chime in if you have any helpful advice. Now, go have a good run. Well, after months of training, the taper for the Bighorn 100 is here. My last big effort (unless you count this morning's 400s) was Sunday. I ran a little over 24 miles on one of my favorite routes--Waterton Canyon and Section 1 of the Colorado Trail. A lot of people hate Waterton Canyon--a seemingly never-ending dirt road outside of Denver--but I like it because the 6.7-mile return trip can be mentally daunting. We often train our bodies but forget about the mental aspects of preparing for a big ultra. That's why I like to test myself in places like Waterton Canyon; the return trip can put me in the mental pain cave and I like that. 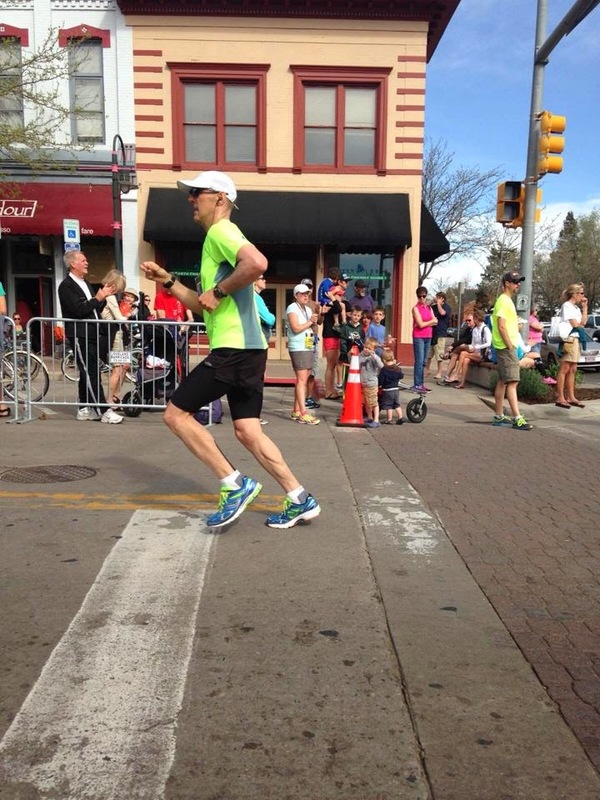 On Sunday, I had another strong finish, which has become the hallmark of my new training approach. Lately, I almost never finish a long run feeling depleted; I finish a long run feeling like I could do it again if I had to. Overall, with more than handful of 80+ mile weeks in the bag and lots of quality, I feel like I'm ready for Bighorn. These last five weeks of training have been super solid. I've also gotten out there for some groups runs with guys like Mike W., Scott S., Mark T., AJ, Chuck, Matt, Jon, John and others, which have made a difference. The group element has been huge for me. As far as the nuts and bolts of training, going hard on hard days and easy on easy days has allowed me to execute when I need to and get the rest my body requires between quality sessions in order to promote recovery. I cannot emphasize enough how important it's been to me to go easy on easy days. We often stress ourselves to the breaking point because we tell ourselves, the more we run, the better. But, in actuality, we get better on the days that we rest. That has been my mantra for the last five weeks. The taper has always vexed me. But not this time around. I feel like I'm entering my taper feeling good overall, not depleted. Over the next two and a half weeks, the key will be to keep mixing in some quality while also reducing overall quantity of mileage and time on the feet. If there is one vulnerability I have, it's that I may not have done enough sustained climbs. I've done some good climbing overall, but with a very wet spring it has been hard to get to the mountains for big climbs and descents. That said, I've gotten to the trails and have logged quite a few climbs of 1,500-2,000 feet. And, honestly, I'm feeling good on the climbs. Not sure what's given me this little bounce--hill repeats, intervals, tempos or all of the above--but something seems to be working for me. I would be remiss in not also saying that Tailwind, Honey Stinger Waffles and Justin's nut butters been great on long training runs. It's critical for me that I stay within my hourly calorie and carb zones, give or take. So, while I'm feeling strong, I also know that my goal for Bighorn is a respectable finish. 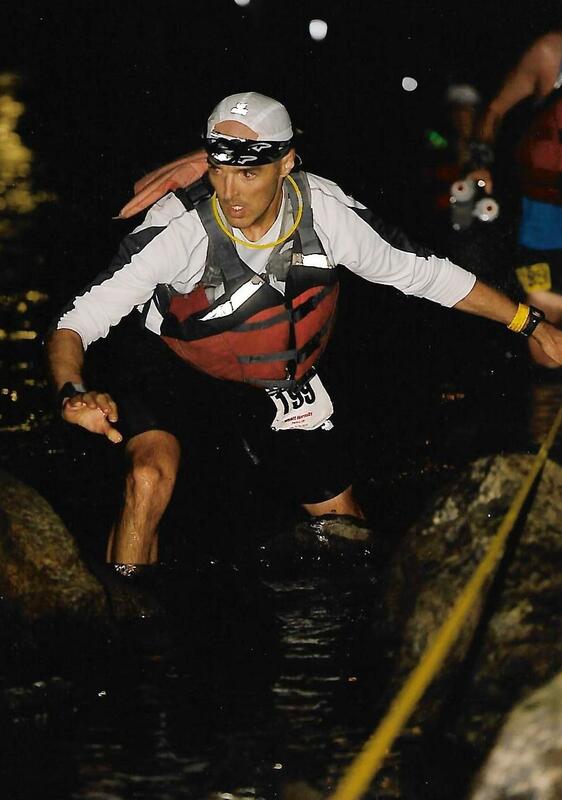 I actually don't really care about my time; I just want to have fun and enjoy a 100-miler. If my body is working for me (and not against me as has been the case at Leadville), then it may just be a good day.